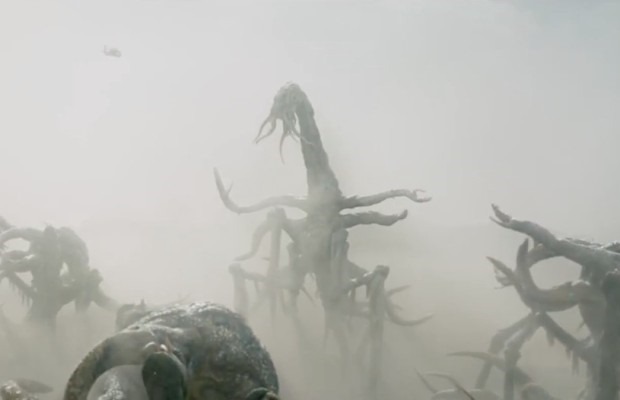 Goliath Trailer: Monsters: Dark Continent! It’s been ten years since the aliens of Gareth Edwards’ Monsters came to Earth. The ‘Infected Zone’ is now global. In the Middle East a new insurgency is complicated by the rapid increase of Monsters. A unit goes missing and a unit with four new recruits is dispatched to find them and bring them back. This is the setting for Monsters: Dark Continent – the sequel to the movie Edwards shot for next to nothing; the movie that garnered him the assignment to reboot Godzilla. Edwards, who is busy on his Star Wars movie, is executive producer on Monsters: Dark Continent and direction is being handled by Tom Green – best known for his work on the British TV series Misfits. An American release date has not yet been set but we have the new trailer for you to check out just after the jump. Previous PostNew Eps of PLL, Melissa & Joey and Baby Daddy Highlight ABC Family’s 16th Annual 13 Nights of Halloween!Next PostAnna and Elsa Return in Frozen Fever!